Canon will, of course, unveil a new addition to the popular 7D product line – likely to be called the Canon 7D Mark III. The most recent timeline suggests this will happen in 2018. As we inch closer toward an actual release date, we’ll surely hear more and more rumors about such a camera. Today, we have a rumored (if somewhat suspect) list of key specifications for the upcoming 7D Mark III. Check it out below. This seems like a data hog with some odd pairings though. Of course, this early in the game, it’s a safe bet to take random spec rumors with a grain of salt. 4K video seems like a no-brainer though now that it’s available on the 5D Mark IV. The 1.4x crop though would be a pain point if that were the case. The Nikon D500 is also plagued with a similar 4K crop and that makes wide angle 4K shots a challenge but Nikon isn’t quite known for the video capabilities of its DSLRs in the same way Canon is with its 5D heritage. 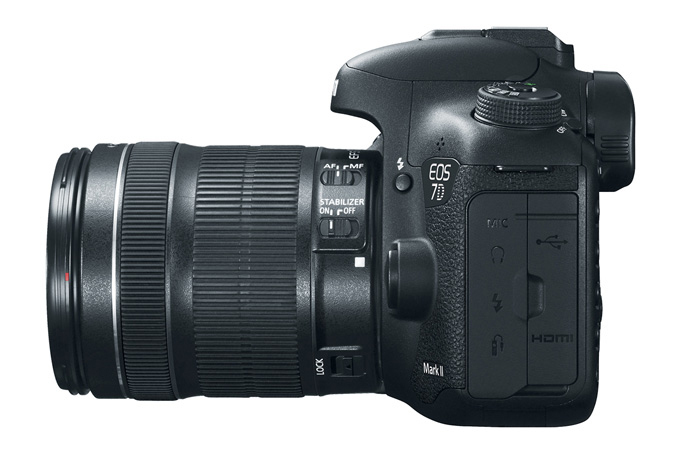 What are you looking for in the Canon 7D Mark II successor? I have the 7D and 7D Mk2, and already have a wishlist for the 7D Mk3. I love everything about the 7D Mk2 EXCEPT the exposure level meter was removed from the top LCD display. I’m not crazy about the vertical exposure level meter that exists ONLY in the viewfinder. This is the only Canon body (out of several I’ve owned) that lacks the exposure level meter on the LCD. My only other gripe about the 7D Mk2 is the eyepiece sticks out further than any other Canon body I’ve owned, and doesn’t feel good when I need to hold the camera really still and press it against my face. Other than those two issues above, I wish the 7D Mk2 had ISO 50. I like that the 5D Mk4 uses the same batteries as its predecessor, and still uses CF and SD. I hope the 7D Mk3 will use the same batteries, and I’m not excited about buying CFast cards, but it’s bound to happen eventually. I’m with you on the touchscreen and Bluetooth. I think both of those are needed and would be a whiff for Canon to exclude. I think there’s no chance Canon offers DNG. Canon loves its proprietary CR2 too much to offer an alternative. And I realize that CF cards are affordable and abundant but I think it is a terrible design and I’m just ready for it to die. I could live with dual UHS-II SD card slots if Canon was willing to shift away from CF…. I actually like CF cards more than SD cards, and have never had any problems with them. Even so, it’s obvious that they’re becoming less and less common, and will be replaced soon. About the cards, I don’t have anything against CF cards, I just want both slots to be the SAME. If I’m shooting sports and have it set to overflow to the 2nd card, why shouldn’t it be the same speed, etc.? I agree with Eric, just give us two fast SD slots so I can buy the same kind of cards for both slots. I’d like to see better battery life. 800 shots (1600 with two in the grip) isn’t much if I’m shooting 3000+ shots in an afternoon. If I have to buy 4 or 5 extra batteries at $64 each it adds up quickly. Good point. It makes more sense to have two of the SAME card. Especially since Canon has a habit of using cheap card readers for SD cards (in both the 5D Mk3 and 5D Mk4), which cripple burst speeds when using SD cards. Yes, put back the horizontal exposure meter in manual mode that was so stupidly left out of the MkII. It’s inexcusable and an insult to their customers that Canon refused to fix that after so many complaints. The 7d MkIII should also have much better low-light performance. The MkII has been a disappointment. I keep hoping for a FIRMWARE HACK for the 7D Mk2. I really miss having the horizontal exposure meter. It would be so easy to add back, because the LCD segments are already there. Kinda think this list goes above and beyond? 30mp at 12 fps is a stretch and for myself not needed. I’ll take 26-28mp at 11fps but more than bumping those numbers I hope to get much better ISO performance and dynamic range for cleaner images! My biggest complaint by far is higher ISO performance compared to Nikons latest sensors. Removing the AA filter to increase sharpness is a big plus and taking the tilty screen off the 80D would be a nice feature. I’ve learned to love using it and take many shots that would be next to impossible without it. No AA filter please. Moiring, if any, can be corrected digitally. 1.4X crop factor is a deal killer for most video professionals. Hopefully that part of the rumor isn’t true. The 7D Mark III needs to have a fantastic dynamic range! Please include some features of the fantastic Nikon D850..i.e. the dual view backscreen for focusing, in-camera focus stacking and of course a touchscreen articulating back screen. Canon needs to get with the program! Canon is still stuck using a 1970’s mentality where they innovate slowly rationing out features over time with ensuing price increases. The Sony juggernaut with more frequent product releases is putting a lot of pressure on the market forcing competitors to change tactics. Nikon’s latest offerings suggest this trend. Fujifilm came out of no where and attracted a niche crowd of users who prefer the retro approach. Hopefully, Canon will inject some new blood into their marketing department with the smarts to read between the lines. They need to listen to their end users.